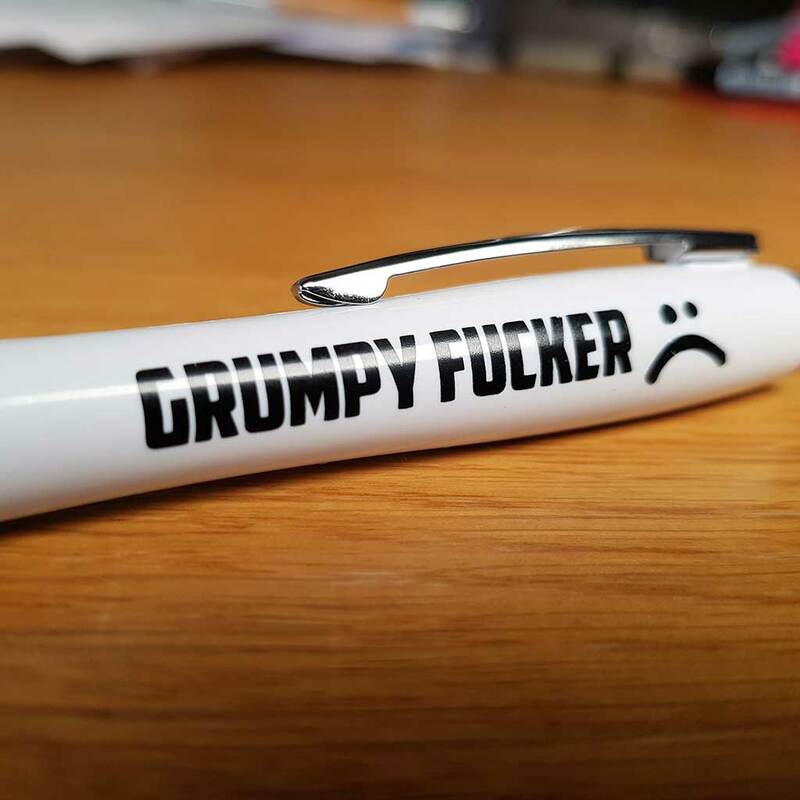 After months of careful preparation and hours of careful labour by our skivvies, our Grumpy Fucker pens are finally here! 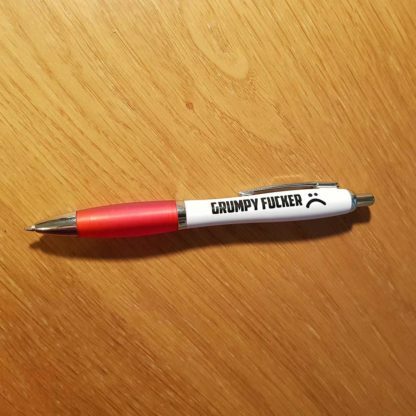 These curvy ballpoint pens are frosted in matt red are finished in silver trim and what’s more, they’re ambidextrous! Yes! You read that correctly! 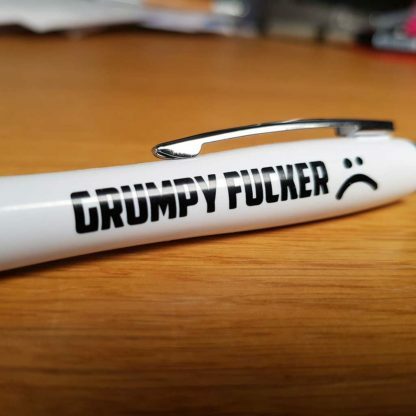 You can write with either your left or right hand! How amazing is that? 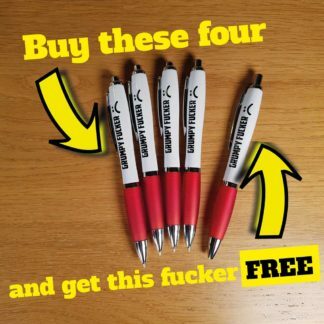 Grumpy Fucker pens - Buy 4 Get 1 FREE!